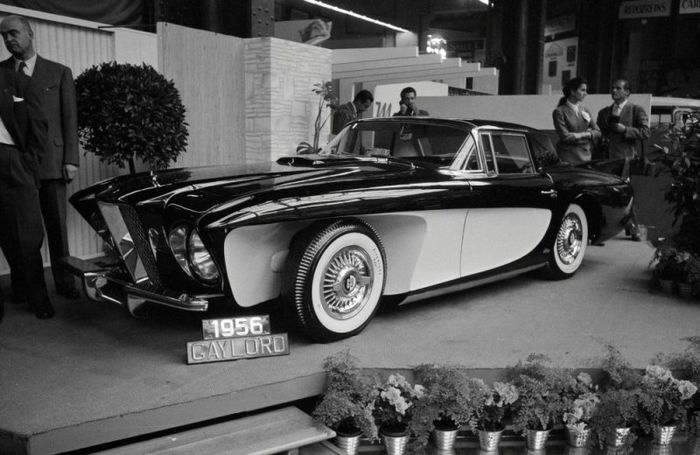 The Gaylord Gladiator came within a whisker of becoming the world’s best car. If it had succeeded, the luxury end of the automotive market today could have looked vastly different. 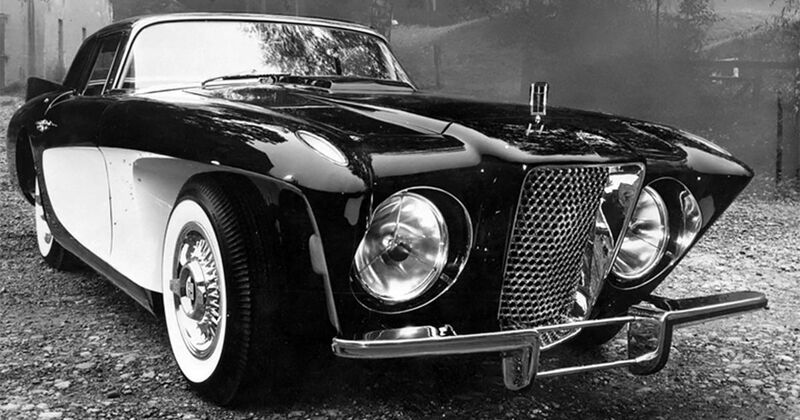 Here’s the story of the American Rolls-Royce-beater that fell at the final hurdle. As post-War America got back to normal, brothers James and Edward (Jim and Ed) Gaylord were searching for a way to create a legacy to outlast that of their mega-rich father, who invented the bobby pin – those ridiculously frustrating metal hair clips that turn up literally everywhere. Jim and Ed wanted to build a car. They looked at the huge, heavy, wallowy and wayward machines the US was building, and at the lithe, taut, agile coupes being turned out in Europe. The brothers Gaylord wanted to combine the power and style of the American way with the handling and class from Europe. Money was no object; they wanted to build the best car in the world. With the bobby pin cash flowing like a river around their knees, they got to work. Jim designed a (comparatively) lightweight tubular frame with a long tail and shorter nose for the ideal proportions. From the start he engineered-in noise- and vibration-dampening solutions to give the Gladiator ultimate refinement. The design work in the Gladiator was way ahead of its time. The spare wheel, for example, was hidden in a compartment beneath the boot and could be slid out and onto the roadway in a trice without the unfortunate gentleman getting dirt on his clothes. The real highlight was the roof, though; the world’s first electrically-retracting hard top. It raised and lowered with a single button and a single motor. 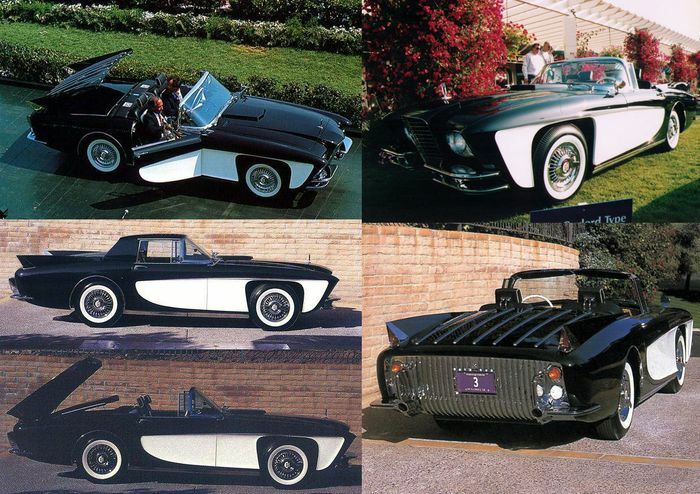 Ford’s Skyliner of the late 1950s, which arrived two years after the prototype Gladiator, needed seven motors. It weighed just 1800kg, give or take a little, making it a hell of a lot lighter than other US-designed cars of the day. It meant that it handled better, and was pretty quick: its 305bhp Cadillac-sourced engine powered it to 60mph in eight seconds, which was two seconds faster than Cadillac’s own El Dorado. A peerless interior was shaped and installed, featuring the very finest woods, leathers and fine detail design. The Gladiator fused sporty performance and handling with incredible luxury in a way that was unheard of. Gaylord, which was never officially registered as a car-building entity separate from the bobby pin business, needed to sell just 25 per year to make the project viable. But perhaps the most obvious conversation-starter was the body styling. Jim and Ed Gaylord wanted the shell to recall both the contemporary American trends, as shown in the tail fins and the contrasting side panels flung out rearwards from the front wheels, and the pre-War British and German icons, interpreted with a neo-classic twist in one of the most striking front ends ever designed. A tall, deeply old-school wire mesh grille was flanked by huge Lucas P-100 (or similar) headlights, the same as were fitted to the old classics that Jim and Ed loved so much. They didn’t make it far past the prototype, though, and nor did the stunning, if strange, cut-away front wheel arches. Both were replaced with more conventional designs for the second production car after a negative reaction from the Paris Motor Show crowd in 1955. But production proved one leap too far for the mighty Gladiator. Having chosen the German company Luftschiffbau Zeppelin, former makers of the hydrogen-filled airships, to build the production-spec Gladiator, the Gaylord brothers, already stressed to breaking point by the process of trying to realise their dream car, were not happy with the work done by the German factory. Production was halted and a lawsuit began. Some re-tellers of the Gladiator story claim that the legal wrangling drove Jim to a nervous breakdown, after which Ed persuaded him to drop the whole idea of building the world’s best car. Others tell of a dream thwarted by the economic realities of asking $17,500 ($200,000 today) for a car at that time in history. 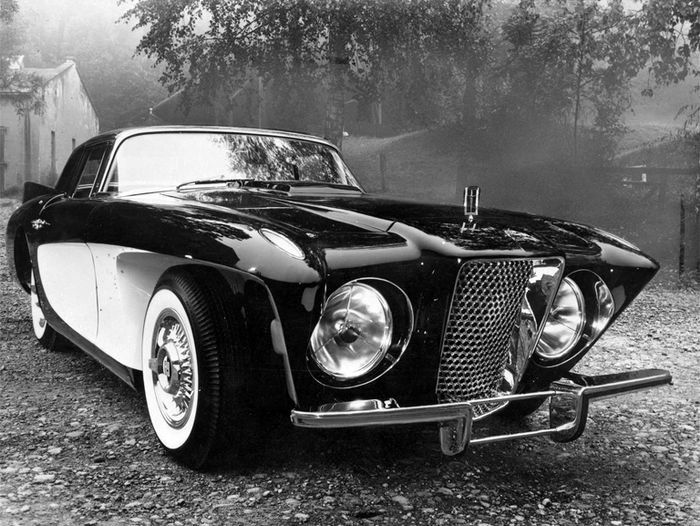 Between 1955 and 1957 four Gladiators were made, including the owl-eyed prototype. It’s believed that only the two quad-headlight, conventionally-styled examples built by Zeppelin survived; one at the Zeppelin museum in Friedrichshafen and the other in private ownership in the US. The Gladiator came so close to greatness. We’ll never quite know what might have been if the relationship between Jim and Ed Gaylord and Zeppelin hadn’t gone south. Maybe, just maybe, we’d be talking about ultra-luxury triple-tests between a Rolls-Royce, a Maybach and a Gaylord.